Tourism officials are monitoring the oil slick off the Gulf Coast and hoping for minimal damage to beaches. (CNN) -- "Wait and see" seems to be the mantra for travelers and businesses getting ready for high season on the Gulf Shore's popular beaches. Tammy Messmer and her family have made a tradition of traveling from Missouri to enjoy the pristine white sand and emerald waters of Santa Rosa Beach, Florida, but an amorphous mass of oil looming offshore has the family worried. "We're still on the fence," said Messmer, 38. "We're praying and hoping that they get this under control." 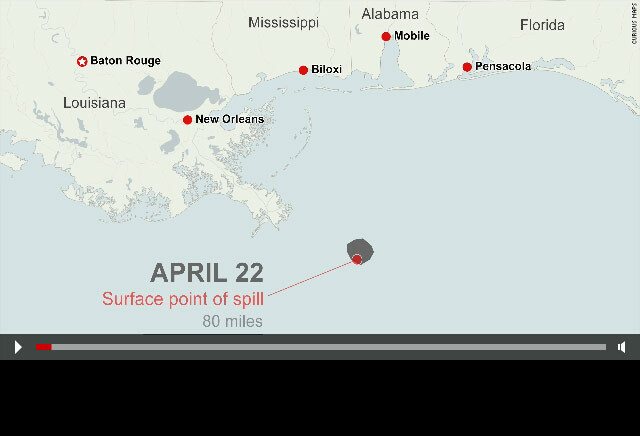 If the oil comes ashore, the family may have to cancel a June visit and head to the beach on the other side of Florida, Messmer said. "If it does hit the beach, we can't take the kids there. It would be kind of a wasted trip because that's what they like to do is play on the beach." Tourism workers and officials are stuck in a similar limbo. The oil slick is an unfamiliar threat to an industry accustomed to weathering menacing tropical storms. "It's unlike a storm where we can watch it come across the Gulf, and we have five days notice, and quite honestly, if it comes in as a [Category] 2 [hurricane], we have a pretty good sense of what's going to happen and what it's going to look like," said Mike Foster, vice president of marketing for the Alabama Gulf Coast Convention and Visitors Bureau. "But nobody knows here." Vacation rental companies in the area have had some cancellations, Foster said, but one operator told him she was getting more than one reservation for every cancellation. "That may get worse, or it may get better. It's just so uncertain, and I think that's probably the hardest thing about it," he said. Some properties have waived the deposit for reservations to ease potential vacationers' fears. 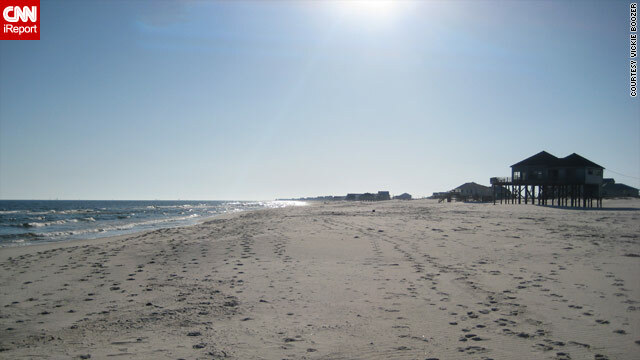 Tourism is big business in Alabama's Baldwin County, home to many of the state's beaches. In 2009, 4.6 million people visited the county, accounting for $2.3 billion in visitor spending, Foster said. The county has 40,000 travel-related jobs. As of Tuesday, the Island House Hotel in Orange Beach, Alabama, had lost about $10,000 in booked reservations, general manager Barbara Walters said. Officials in Destin, Florida said they also are worried about the impact the oil slick will have on the summer season. "Everybody here relies on tourism. Not just hotels and condo resort properties or the fishing boats or the restaurants, but it trickles down all the way to the attorneys and the CPAs because they do work for all the tourist-related companies," said Shane Moody, president and CEO of the Destin Area Chamber of Commerce. The amount of oil that rolls ashore will be key. "If the entire slick were to come this way and just engulf our beaches, take them over, then it could be devastating," Moody said. "Right now we're preparing for the worst and hoping for, and right now seeing, the best."